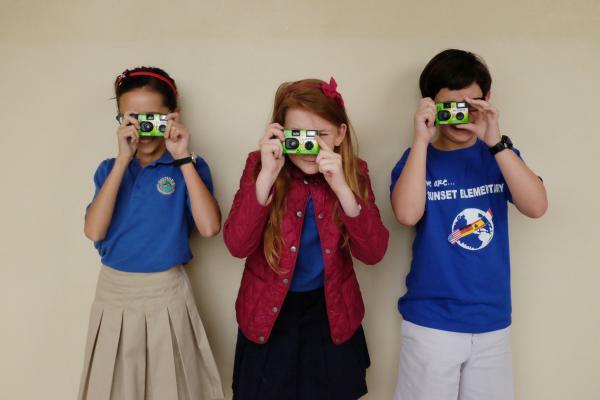 NPR Ed gave cameras to students in Mrs. D-B's fourth-grade class. All 26 students turned in their essays to us — and they were awesome! We used their words to help narrate and shape our story. 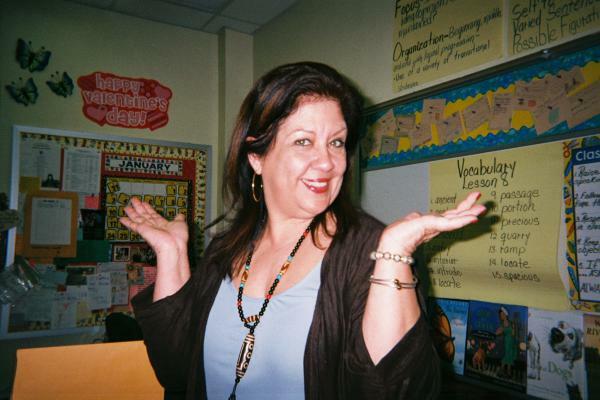 They wrote about all the activities they liked, the things Mrs. D-B did in the classroom that piqued their interest, and how she was different than other teachers they'd had in the past. Step 2: Producer Sami Yenigun and I listened in as a group of students interviewed Mrs. D-B. They asked great questions: Why did you become a teacher? What have you learned from all your years of teaching? Did you always like to read?What is your favorite book? Why is kindness your favorite emotion? You can listen to Mrs. D-B's answers in our story here. 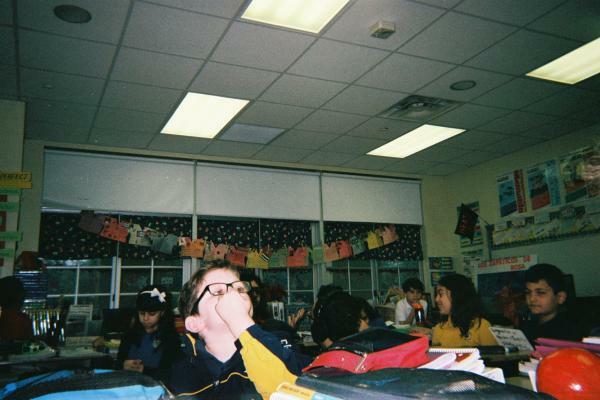 Step 3: We gave each student a disposable camera. I taught a short lesson about how to use them and what to look for (details, classroom activities and other students). We got the film developed back in D.C. and the images did not disappoint. 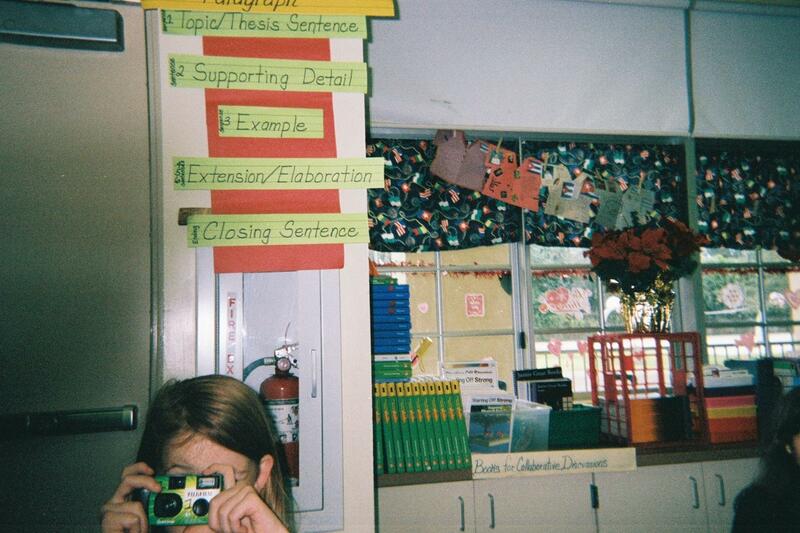 They showed the classroom from a perspective we rarely get to see — from the seats of students. 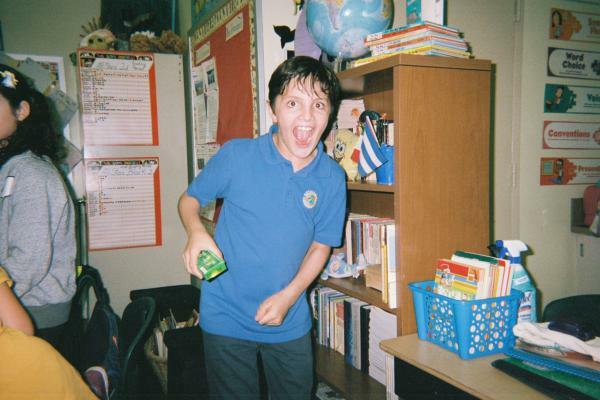 There's something really wonderful, fun and honest about the photos — it makes us wish we were back in fourth grade. You can see more of their photos here. And of course — the students captured us capturing them.